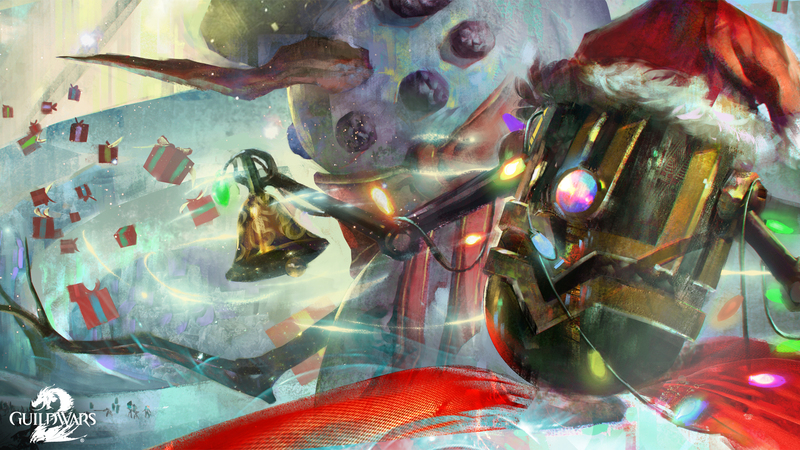 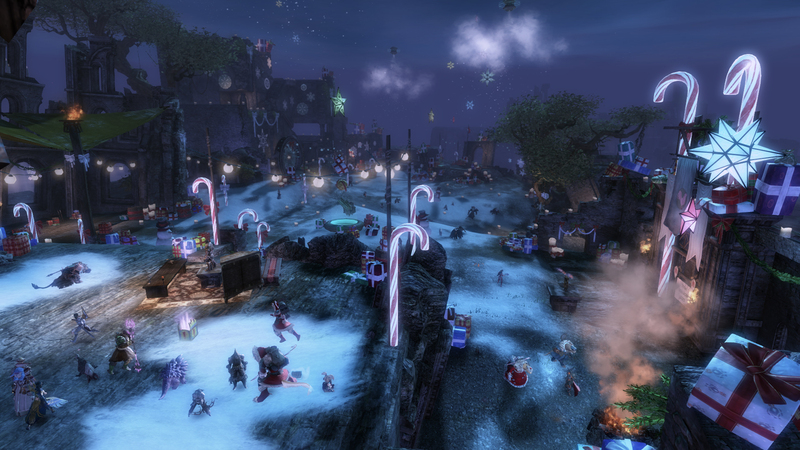 Bells are ringing, snowballs are flying, and Toymaster Tixx’s fantastic golem-shaped airship is hovering over Divinity’s Reach—the traditional Tyrian seasonal celebration of Wintersday is here again! 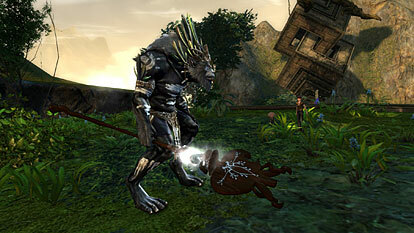 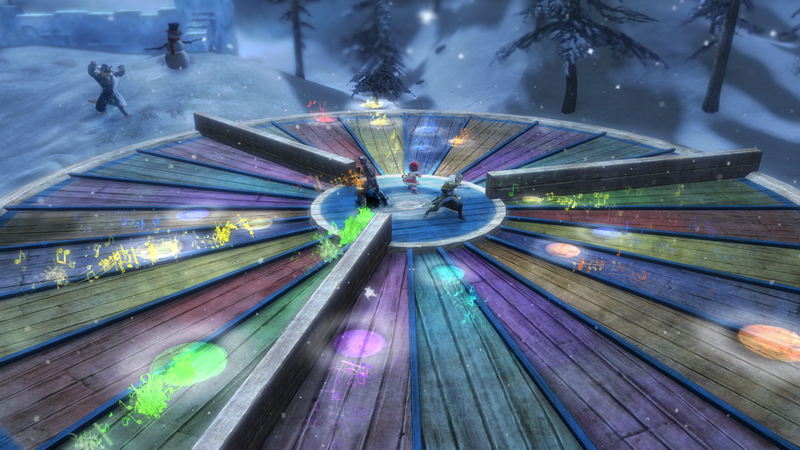 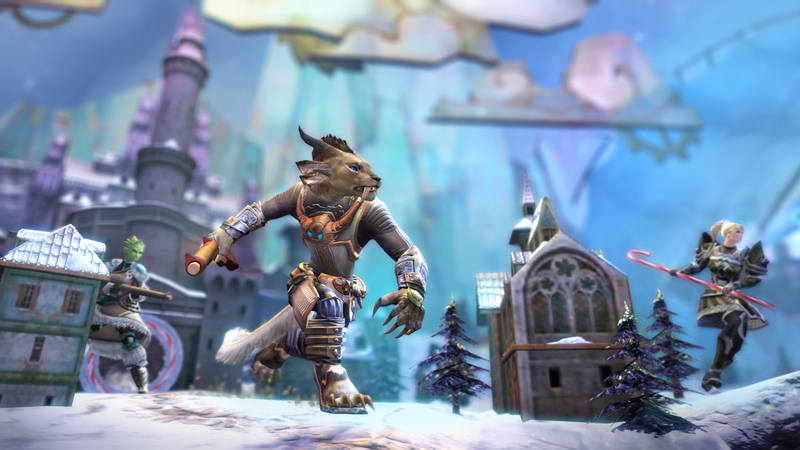 Rebellious toys and sneaky skritt are threatening the workflow inside Tixx’s Infinirarium. 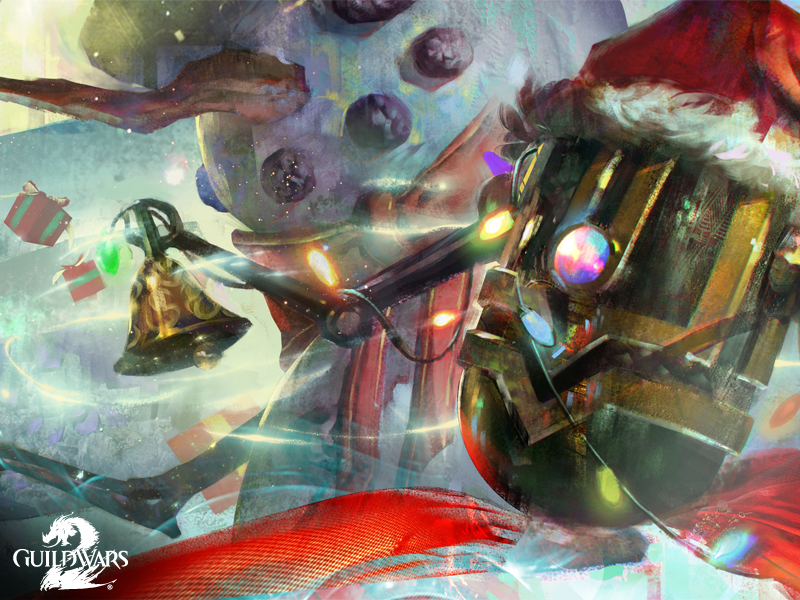 Enter the workshop and put an end to the mayhem! 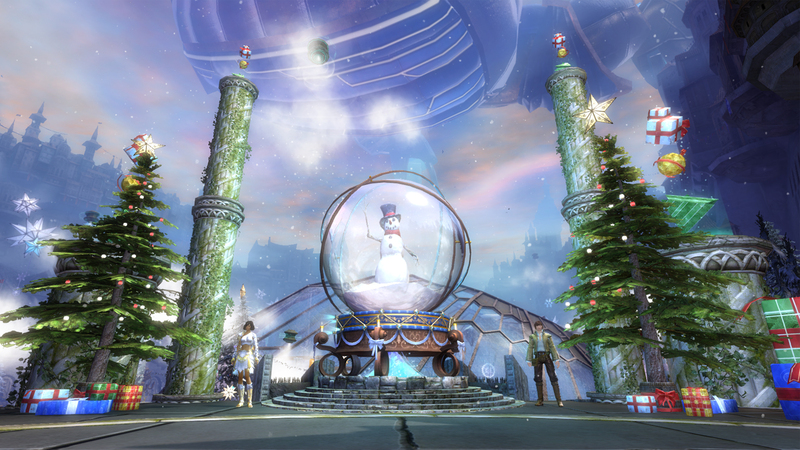 Celebrate the holiday with festive traditions: leap from snowflake to snowflake in the Winter Wonderland jumping puzzle, ring in the season in Bell Choir, defend gift-bearing dolyaks in Toypocalypse, and store up precious presents in Snowball Mayhem! 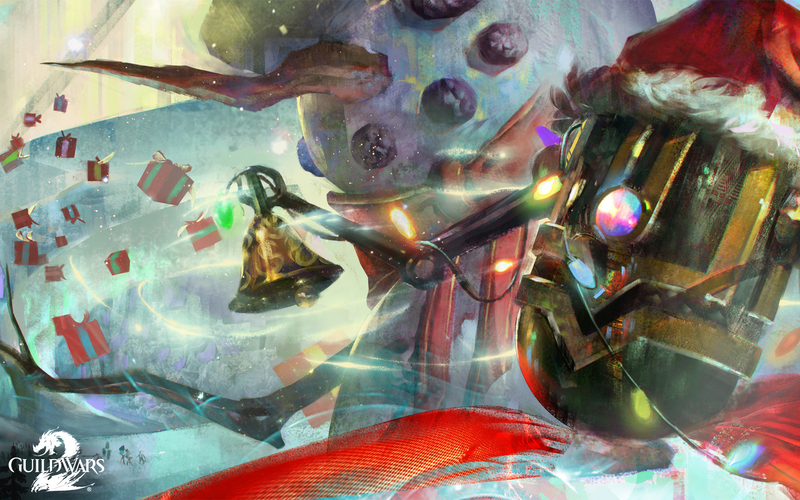 Only you can save Wintersday. 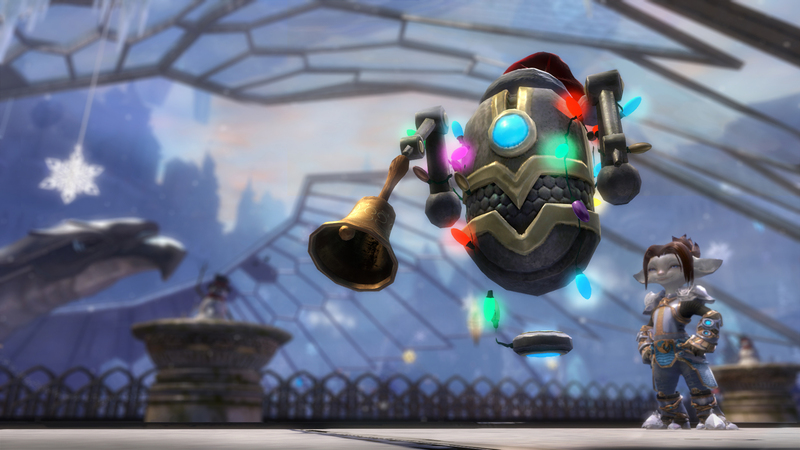 The disgruntled Grawnk has stolen Wintersday decorations from Queen’s Heart Orphanage. 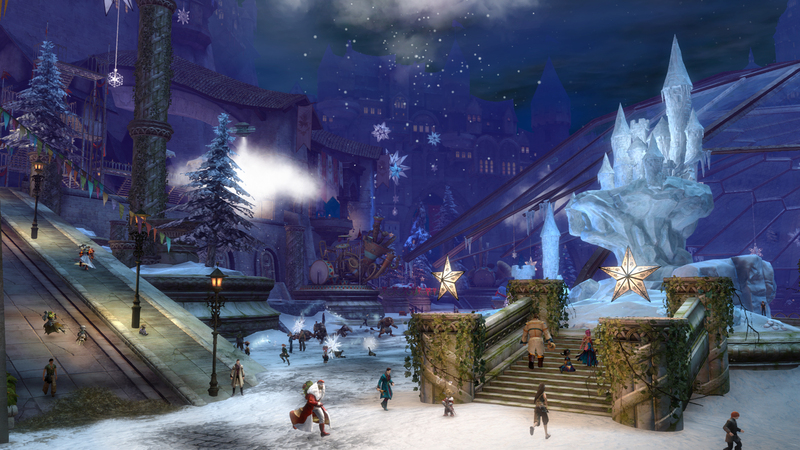 Show him what the holidays are all about and bring smiles to the children’s faces to earn a Wintersday Tree for your home instance. 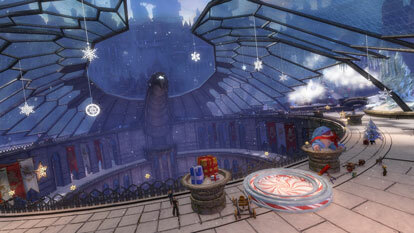 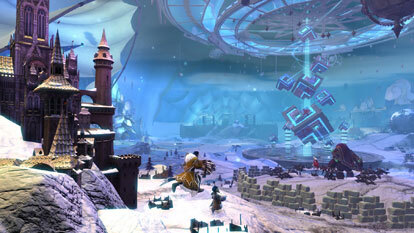 Deck your guild halls with new items and enjoy karma and experience rewards from all Wintersday events! 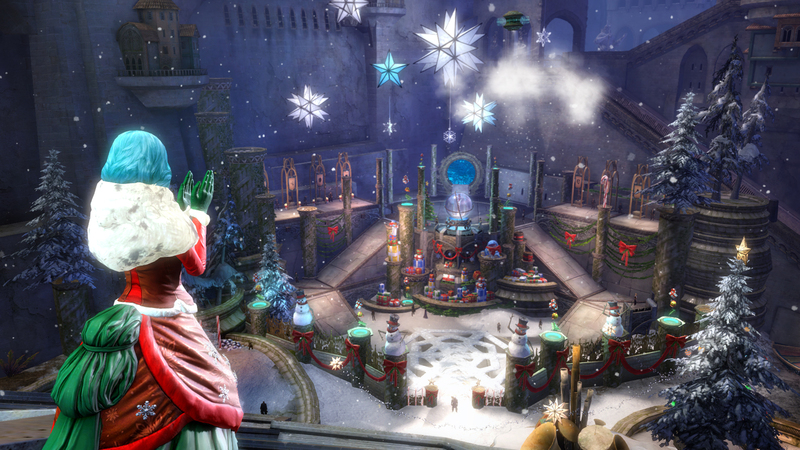 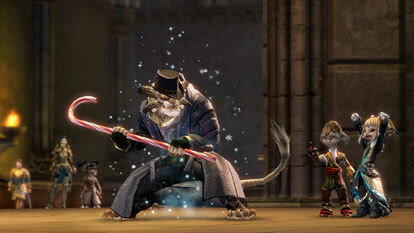 You can earn a sleigh load of rewards by opening Personalized Wintersday Gifts, gifting presents to orphans around Divinity’s Reach, and building the snowy Winter’s Presence shoulder skin.